You love your pet, you love your home, but your beloved family pets seem to leave a trail of pet hair wherever they go. You’ll often find little piles of fur along the baseboards, under the couch, caught in cracks in the hardwood, on the furniture, and basically on every surface imaginable. So, how do you deal with pet hair on hardwood floors, to keep your house looking great? 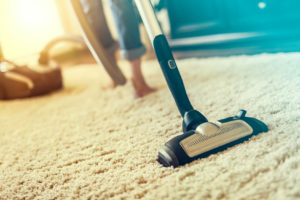 An abundance of pet hair in your home doesn’t just make your home look unkempt, it can actually be bad for your health if you or a family member has allergies. While many people tend to mistakenly believe that hardwood floors translate to easier upkeep, those of us with hardwood floors know that it tends to showcase every strand of pet hair, dust, debris, and dirt. Aside from that, simply taking a floor duster along the floors and baseboards just isn’t enough. All it ends up doing is stirring up dust and hair, only to settle back onto the floor minutes later. 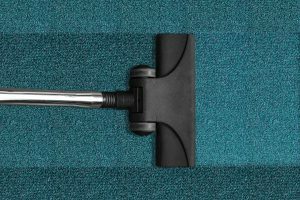 Sweeping is another method used to get rid of pet hair, but it’s not quite as effective as vacuuming. 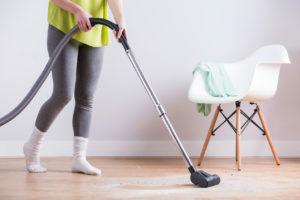 Sure, you’ll be able to clean up most of the pet hair, but sweeping alone won’t allow you to access cracks and crevices, and you won’t be able to capture all of the dirt and debris. 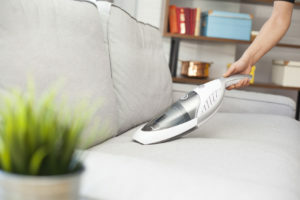 With a vacuum, you can also use a special attachment for your furniture, sucking up all of the pet hair that tends to cling to furniture, which will soon end up all over your clothing. Often, the best solution is using a vacuum that’s specifically designed to remove pet hair, fast and efficiently. Even better, many of these bagless models feature a canister that you can empty out when you’re done, so you can take it outside and get rid of the pet hair, dirt, and dust, for good. Bottom line, vacuuming is the easiest, most efficient way to get rid of pet hair. 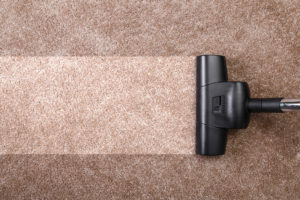 We recommend vacuuming daily, if possible, to maintain a pet hair free environment. Then, once a week, use a floor cleaner that’s designed specifically for hardwood floors. 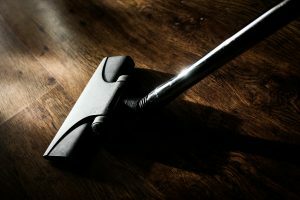 Many DIYers recommend using all-natural cleaners such as vinegar, but we’ve found that it usually leaves our floors looking dull and just isn’t strong enough to remove deep down dirt. Now, that you know more about the benefits of vacuuming for pet hair removal, let’s take a look at our recommended model. 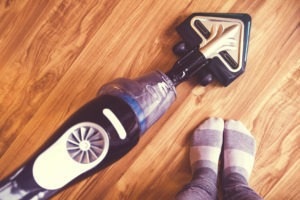 Not every vacuum can handle multiple surfaces in the home, but the following vacuum by hoover can keep your hardwood floors, tile floors, and carpets clean, thanks to its top of the line suction power. We recommend the Hoover WindTunnel. This is an upright, bagless vacuum that comes equipped with the patented WindTunnel technology that’s specially designed to capture pet hair without losing suction, which is a big deal. 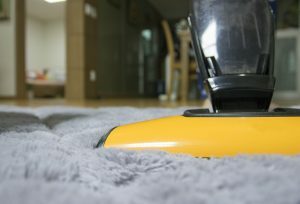 Often, vacuums tend to clog easily when it comes to sucking up pet hair, so a vacuum designed specifically with this task in mind is the perfect fit for pet owners. This vacuum won’t constantly clog, overheat, or struggle with certain types of surfaces. Overall, we found it to be the perfect model to use in homes where unchecked pet hair is a major issue.